WEEKEND en español® was founded by Ronda Calef in 1988, based on the premise that language learning is both a natural and a gratifying process, and that with a supportive environment and a carefully constructed course of activities, everyone can learn to speak another language. Ronda Calef, Founder and Director of WEEKEND en español®, brings forty-six years of experience and an unmitigated enthusiasm to her teaching and leadership in her unique full-service Spanish language school. Ronda holds a B.A. 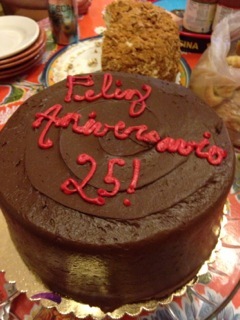 in Spanish from Vassar College and an M.A. in Romance Languages from the University of California at Berkeley. An extensive traveler throughout the Spanish-speaking world, she has led groups to Spain, Mexico, Colombia, Chile and Costa Rica. 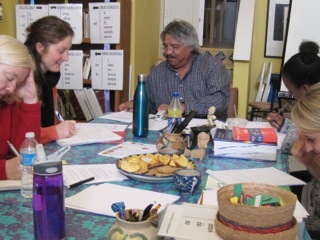 Our cornerstone program is a series of WEEKEND Immersion Workshops, either Saturdays or Sundays, giving you a chance to sustain your use of Spanish for seven hours at a time. We also offer a full spectrum of Evening (and some Daytime) Small Group Classes, meeting once a week for an hour and a half, as well as the options of private one-on-one lessons and corporate or special group custom designed programs to meet specific needs and schedules. Oaxaca Immersion Program is our 11 -or 14-day total immersion program into the language and culture. Now you can live the language with us in Oaxaca, México. No English allowed! 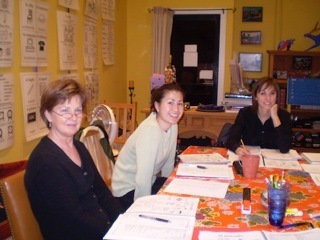 Retreats/Retiros bring Spanish immersion to you right here in California. Enjoy our on or three-day weekend of total immersion in the comfort of a lovely retreat site in Northern California. Private lessons are always available, to be scheduled at your convenience. And if you can't make it to our site in person, we now offer one-on-one private lessons and consultations by phone! For students working at home or away from home, even if you can't make it to one of our events, you can order our books, flashcards, and other learning tools! Central to all our activities is the notion of complete immersion into the language and culture. Thought, action, and speech are developed through practice in a real and interactive context. Using the building blocks of a serious, sequenced language course, and a setting that is comfortable, encouraging, and culturally rich, we help learners of all ages and levels to become fluent in Spanish. Our teachers and other staff members are fluent or native speakers of Spanish, coming from the widest possible variety of countries and personal as well as educational backgrounds. Our home base is in a lovely space in Lower Pacific Heights, on the corner of Bush and Buchanan, in San Francisco, all decorated with an appealing Latin flavor! We have books, music, artesanía, art and all kinds of artifacts, as well as a full kitchen for our Full Day Workshops and other events. We also work in Oaxaca, Mexico for our SEMANA en español, and use various retreat sites in northern California for our Retiros. We can also go to your site for any group work!